Kid’n Around recognises a child’s family as their first teacher and the most important influence in a child’s life. Our educators will work with this partnership to obtain the best learning for your child. The relationships educators form with children and their families have a significant impact on children’s involvement and success in learning. Children thrive when families and educators work together to support young children’s learning. 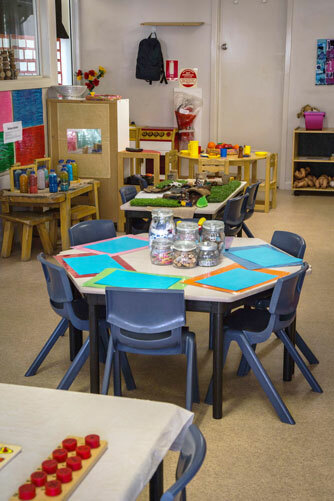 We will endeavour to be sensitive to and supportive of diverse family structures, family strengths, cultural practices and languages of children’s families and communities through our early education centre. We encourage families to be involved in the centre however they can. If parents could kindly talk to the rooms about their profession, share one of their famous cooking dishes, share a story or participate in group time this is welcomed. The centre also holds Mother’s Day, Father’s Day, Grandparents Day and Christmas celebrations for families where we encourage our community to come together and enjoy afternoon tea with the children. These are great social activities for families to meet each-other and our educators. Children thrive when they see everyone having a good time!